I assume that you are comfortable writing iOS apps, at least know your way around Xcode, and can work with the simulator. This book is not for beginners. 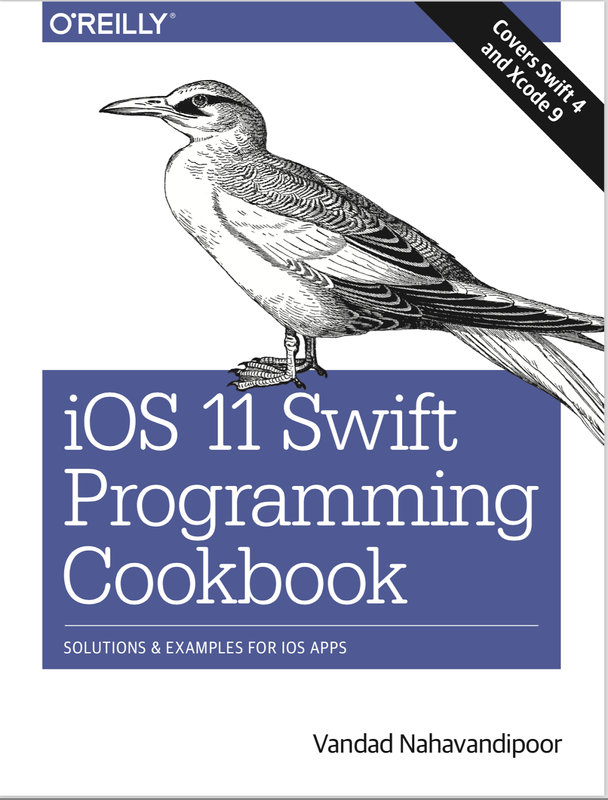 If you have never programmed in Xcode before for iOS, it will be tough to learn iOS program‐ ming only from this book, so I suggest that you complement your skills with other online resources. The intended audience for this book is intermediate and advanced users. Continuous integration (CI) and continuous delivery (CD) are both popular and the subject of some very deep discussions at the organizational level of develop‐ ment teams, sometimes with some developers being entirely against them and others enthusiastically for them. If you are lucky, you will work in an organiza‐ tion where everyone in the team has some knowledge of CI and CD, but if you are unlucky, you might be the only person in your team who is responsible for your CI servers. In this chapter, we will dive deep into Travis and Xcode Server as our CI servers, and also have a look at fastlane as our CD tool. Snapshot testing is a modern way of testing your user interface in order to detect sudden and unwanted changes, such as unwanted changes to a font that can affect certain UI components. With snapshot testing, we will capture the state of our UI when we are sure of it being correct, and use this captured state as a refer‐ ence to compare future states with. Should anything have changed compared to the original and correct state, the snapshot test will fail, triggering the develop‐ ment team to look for the bug. In this chapter, we will focus on Facebook’s snap‐ shot testing iOS library and how we can leverage its power to make UI testing easier than ever before. Since its introduction, Siri has been an integral part of iOS and how people inter‐ act with the operating system. However, because it was a closed technology, we developers couldn’t integrate our apps into Siri. That’s not the case anymore. Now you can write your own app extensions that integrate into Siri and allow you to interpret various “intents” that come from Siri into your applications. For instance, you can create a financial application that allows the user to send and receive money from various sources, all driven through Siri. In this chapter, you will see how to create one of these extensions and learn the different entry points from Siri into your application. This chapter is dedicated to the new series of classes and structures that Apple has provided to developers to convert between various measurements and units. Core Data is without a doubt the standard and best way to store large amounts of data and structure your data object models in an iOS application. In this chapter we will focus on the fundamentals of Core Data and how you can leverage its power to not only store your data, but also search for it using queries and retrieve it as managed objects. Swift 4 brought with it a lot of great new features, such as built-in JSON parsing and typed array extensions. In this chapter we will have a look at what’s new in Swift 4 and some functionalities introduced in Cocoa Touch. In this chapter, we take a look at a lot of new stuff in Xcode and Interface Builder (IB). Apple has brought us refactoring features for Swift in Xcode 9. We can also debug our iOS applications wirelessly on iOS devices, so you can finally build that iOS test farm that you have been dreaming about for years. We will look at some of these cool new features, plus GitHub integration right inside Xcode. Apple tends not to release a piece of technology until it knows that the imple‐ mentation is really well thought out. One of the features lacking from iOS since the beginning was a built-in drag-and-drop functionality that would have allowed intra-app drag and drop on iPads, or even inter-app drag-and-drop func‐ tionality on iPhone devices. As of this year, we can now implement drag and drop in our iOS apps, thanks to the new SDK. In this chapter, you will learn about 3D Touch, drag-and-drop features, font scaling, named colors, and much more. We’ve had the ability to develop apps that take advantage of iCloud data storage for a while now, but never have developers been able to present an iCloud docu‐ ment browser to their users, allowing them to create documents right in iCloud from within this system UI. We now have a view controller that functions as a built-in document browser that is easy to use in and integrate with our applica‐ tion. User can now open and create iCloud documents without ever leaving your applications. In this chapter you will learn all about the document browser view controller and how you can harness its power to create document-based applica‐ tions. This year Apple didn’t focus as much on watchOS. However, there are exciting new ways of interacting with watchOS, which we will discuss in this chapter. The contacts APIs will be discussed in this chapter. You’ll learn how to use the Contacts framework to add new contacts to the user’s device, remove contacts, edit them, or even allow the user to pick a contact from the list so that you can perform your tasks on it—all without having to fiddle with low-level C APIs. The Safari Content Blocker extension allows developers to create apps that get installed as extensions in the user’s Safari browser and allow us to block various elements of web pages that the user views. For instance, you can now block pic‐ tures or other unwanted elements in the websites that you specify in your app, and you can share these content blockers with those who use your app. This chapter is all about these extension points that you can add to your apps. Apps can provide content to iOS for indexing in the device’s search engine. iOS will then index this content and allow the users to search for it right within Spot‐ light on their devices. Your content can also be indexed globally on Apple’s servers so even those who don’t have your app can see your content on their devi‐ ces. Intrigued? Read this chapter, then! In iOS, we have the ability to provide Picture in Picture (PiP) to our users. Your app can provide a video player to iOS and allow the user to minimize your whole app into that video player while she works with other apps. It’s really cool, in my opinion! With new additions to the Core Location and MapKit frameworks, you can, for example, display an ETA for transit between two locations or display your custom view inside the annotation of a pin on the map. You will also learn how to cluster similar pins into a group to avoid cluttering your map view. Another wel‐ come addition to the map view is the ability to remove system buttons from it and instead display those system buttons somewhere else on your user interface, where it fits your UI best. You will learn all about that and more in this chapter. We will discuss Apple’s UI Testing framework in this chapter. I’ll show you how to write native Swift code to do UI testing. Core Motion is also available on watchOS. In this chapter, you’ll learn some of the things that you can do with this framework, including reading cadence infor‐ mation from sensors on the device. When a user registers for your service on your website on their iOS device and saves the password with which she registered her account, this password ends up in the user’s iCloud Keychain, if she has enabled it. In your iOS app, you now have the ability to ask iOS for these credentials should the user be able to authen‐ ticate herself in your app with Touch ID. Application Transport Security in iOS forces all requests to go through HTTPS. If you build your project with the latest Xcode and iOS SDK, all your network requests will go through HTTPS by default, protecting your content—but possibly breaking a few things if you don’t support HTTPS in your web services. Read this chapter to learn more. iOS includes great ways for apps to interact with Siri’s voice, and you can read about them in this chapter. There are some amazing effects that you can achieve in your user interface with UI dynamics, including the ability to create turbulence or magnetic fields. In this chapter, we’ll review some examples that show these effects in action. Sticker packs are extensions that you can distribute either as part of your iOS applications or as standalone applications. They allow you to add interactions to messages being sent and received in iMessage conversations. In this chapter, we will discuss different types of these extensions and how you can create interactive sticker pack applications for iMessage.